Israeli soldiers demolished, on Tuesday at dawn, a Palestinian home in Kobar village, northwest of Ramallah, in central West Bank, and abducted one man. 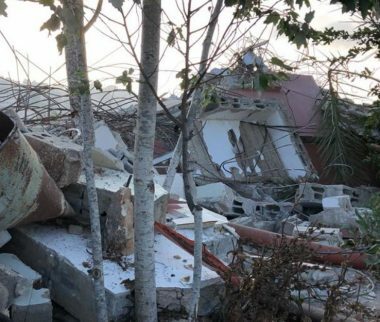 Media sources in Ramallah said the soldiers invaded the family home of Tareq Dar Yousef, and forced the family out before demolishing the property. Tareq is the father of Mohammad Dar Yousef, 17, who was killed on July 26th, after he reportedly stabbed three colonialist settlers in Adam illegal colony, killing one identified as Yotam Ovadia, 31. It is worth mentioning that the army is still holding the corpse of the slain Palestinian, and is refusing to release it to the family. The family received the demolition order, Monday August 27, 2018, informing them that their home would be demolished by September 13th, yet; the army demolished it a day after issuing the demolition order. In addition, the soldiers invaded and searched several homes in Kobar, and abducted Mohammad Abdullah Abu al-Haj.